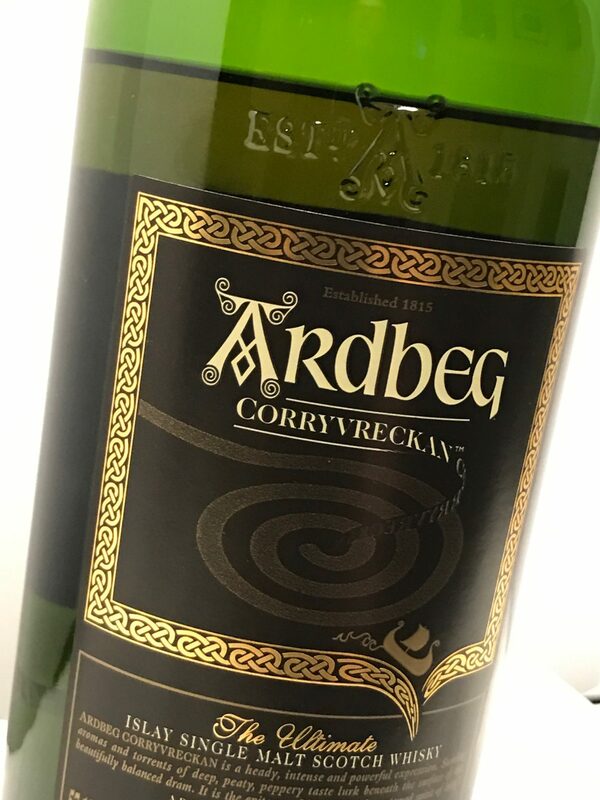 Ardbeg Corryvreckan is a distinctly unique Ardbeg and a bottle well worth seeking out. 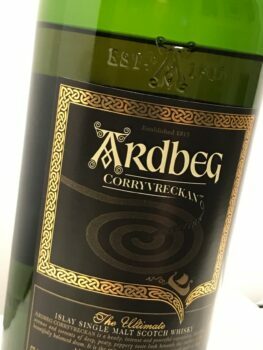 We are now up to the third review in the Ardbeg series – Corryvreckan. 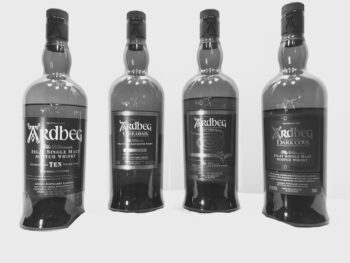 And we have two more Ardbegs to go after this – yes, I’ve added Kelpie to the line-up, which we’ll review after Dark Cove, both of which are from Ardbeg’s annual limited releases. 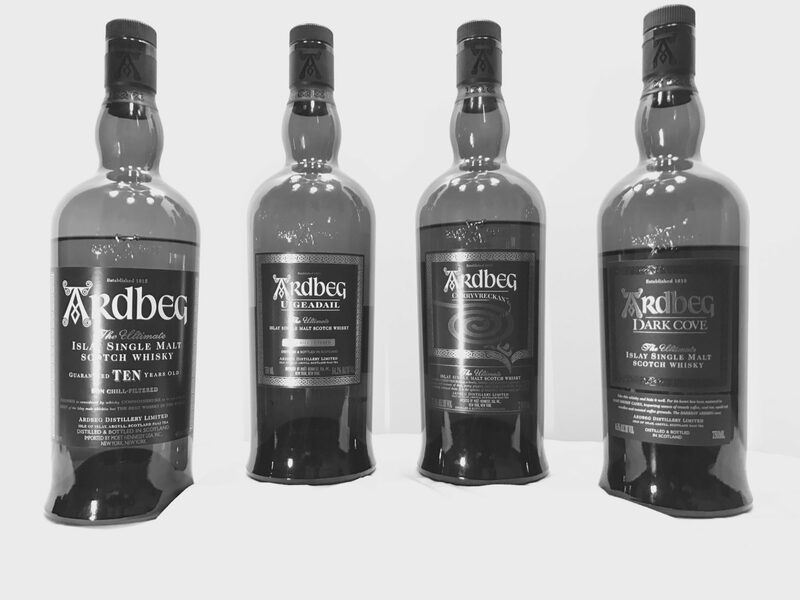 Corryvreckan is the last of the whiskies in Ardbeg’s Ultimate Range which also includes the Ten Years Old and Uigeadail. 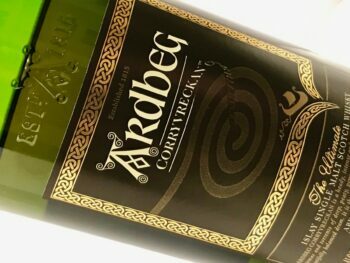 The Corryvreckan expression was launched in 2009 (after an initial 5,000 preview bottles were released to Ardbeg Committee members in 2008). Notes from the Ardbeg Distillery press release and their website describe the product as such: “Corryvreckan is Europe’s largest, and the world’s second largest whirlpool. It lies near Jura and Islay, Ardbeg’s island home. Considered by the Royal Navy as one of the most dangerous stretches of water in the British Isles, the Corryvreckan whirlpool can be heard from a distance of 10 miles. 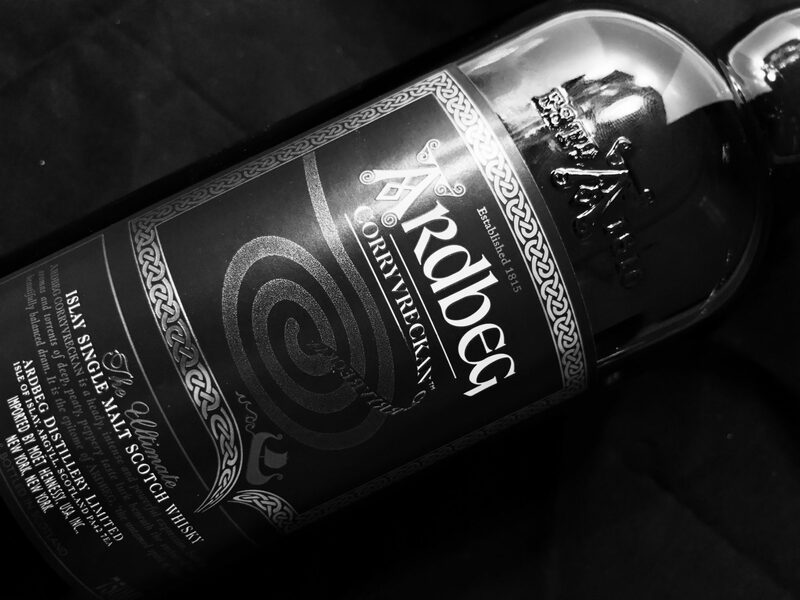 The whirlpool’s raw, magnetic power exactly mirrors Ardbeg – the peatiest, smokiest and most complex of all the Islay whiskies” [release]. “Swirling aromas and torrents of deep, peaty, peppery taste lurk beneath the surface of this beautifully balanced dram. Like the whirlpool itself, Corryvreckan is not for the faint-hearted! 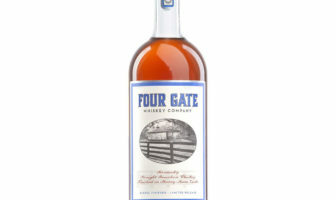 Awarded the World’s Best Single Malt in 2010 by the World Whiskies Awards” [website]. 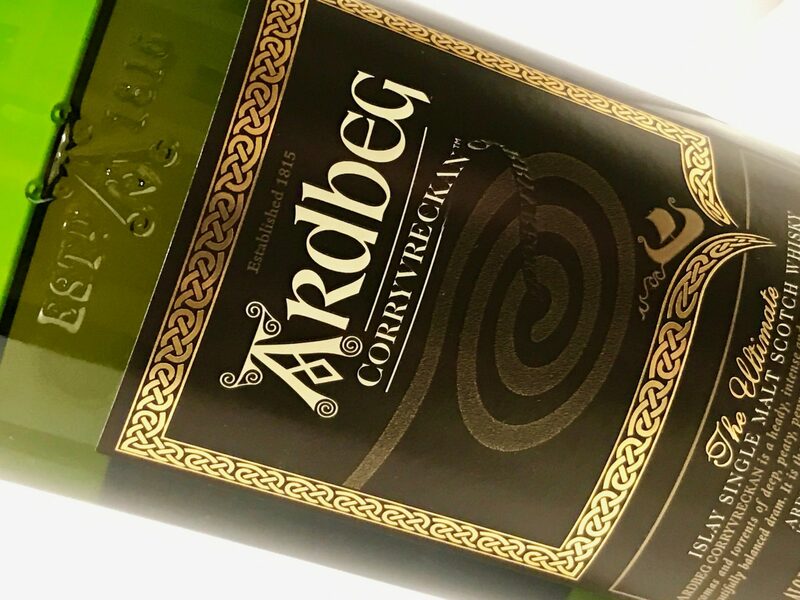 ARDBEG CORRYVRECKAN: There is a lot to take in with this dram. The more I revisit it the more I like it. It has definitely grown on me over time (WJ). Final thoughts – a distinctly unique Ardbeg and a bottle well worth seeking out. When I think of the strong Atlantic currents swirling the waters off the coast of Scotland creating the Corryvreckan whirlpool and the deep peaty notes of the Corryvreckan my mind for some reason pictures the bottle in black and white. For some this whisky will be a black or white proposition – for others, like me, it holds many intricacies and many shades of grey. Next up is the Ardbeg Dark Cove – the 2016 Ardbeg Day release. Until then, if you have comments please send them our way. 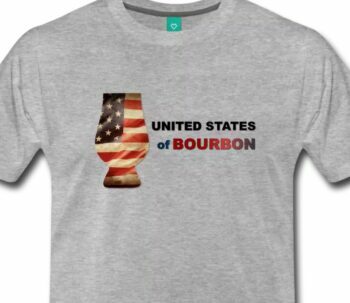 The whisky quote of the day as we bid farewell on this latest installment is from George Bernard Shaw – “Whisky is liquid sunshine.” Enjoy some sunshine during the last weeks of summer. Disclosure: The sampled bottle of Ardbeg Corryvreckan was graciously provided by Laura, representing Ardbeg Distillery. ModernThirst.com appreciates their willingness to provide their product for review. The contents of this review are our own, made without outside influence, or strings attached.